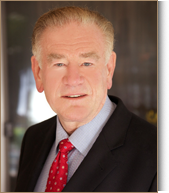 After practicing corporate, transactional and international law with global law firms, in New York, Denver, and Los Angeles, John A. St. Clair opened his own firm in 2010. John's firm advises U.S. and foreign corporations in connection with a wide variety of domestic and international transactions and in their day-to-day operations. Having represented technology companies from start-up through private and public offerings and contractual “exits” by mergers and sales of assets, John provides strategic corporate advice to early-stage companies, advising their boards of directors and management how to avoid problems, where possible, and how to handle those that can’t be avoided through strategic legal foresight and planning. John provides corporate and securities law advice to boards of directors and executive officers of established companies. John has advised and assisted clients in numerous industries in transactions and contractual relationships, including mergers and acquisitions and capital raises in both the public and private markets. John advises clients in connection with their foreign operations and cross-border transactions, including in the negotiation and documentation of strategic transactions, including in the negotiation and documentation of strategic partnerships and licensing agreements. John’s firm is independent corporate counsel to a Nasdaq-listed company John has represented since its founding more than two decades ago.